As a motivationally challenged tech enthusiast, it's important that I'm utilizing the latest innovations to do as much as possible for me. But what about those of us who rent, yet still want to take advantage of the latest in smart home technology? 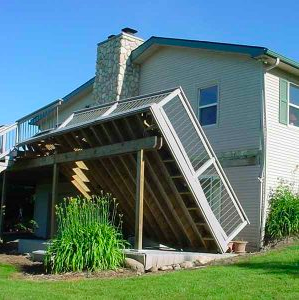 My landlord might not appreciate it if I try to make a bunch of upgrades (especially considering my construction skills are pretty much nonexistent). If you want to step into the future without the risk of getting evicted, here are some things you might want to consider! This little light of mine plugs into any standard bulb socket you have in your house. Once it’s installed, you can use an app (or your voice, with a compatible Alexa device) to set the perfect ambiance. No amateur electrician skills required! Why just stick with smart-ifying (smart-ening?) the lights in your home? 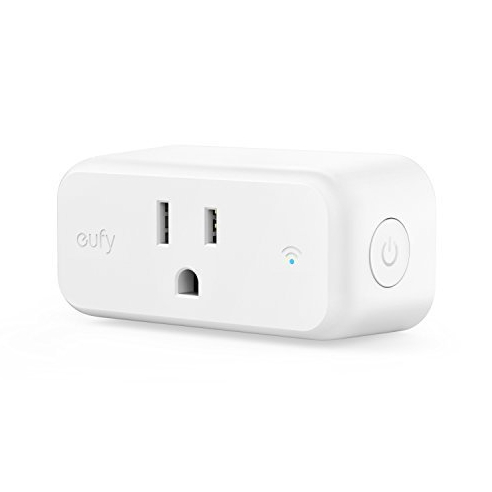 With this smart plug, you can remotely control many of your electronics through the EufyHome app or an Alexa device. 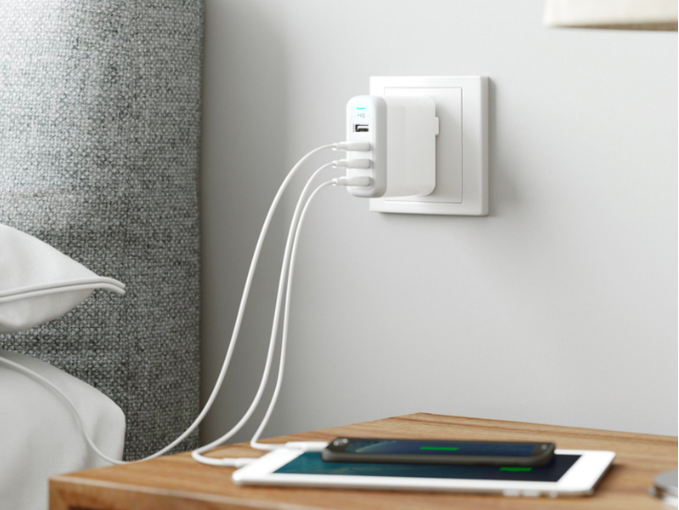 An extremely compact build prevents the smart plug from blocking other outlets—giving you the freedom to plug in everything you need (including more smart plugs!). When it comes to keeping your new electronic goodies safe inside your home, why consider any other option besides the most-funded smart home Kickstarter ever? Unlike most home security systems, eufyCam requires no intrusive installation, and no recurring fees. What’s more, the weatherproof cam’s battery will last 365 days on one charge. That’s reliability you can count on. Even if you don’t own your home, there are plenty of ways to make your house as smart as possible with eufy! What about you, fans? How will you upgrade your home life in the remainder of this year? Let us know in the comments, and Power On! Now that we are moved in to our new place we will be slowly turning it into a smart home. 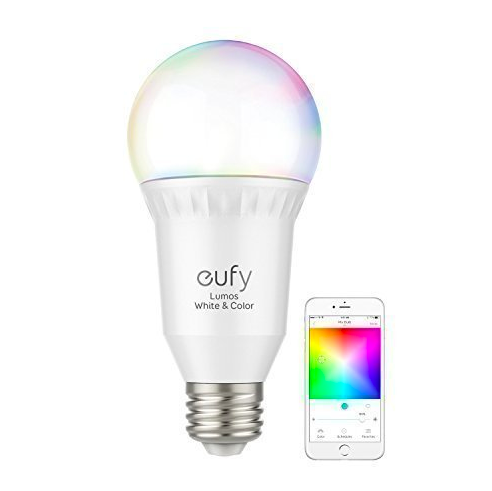 We currently have a few smart bulbs....although they are not from Eufy, we will be switching to them as money permits. We have already installed the Eufy genie and added two of the Eufy smart plugs, and as time goes on we will add about 12 more plugs throughout the house and 2 more genies to control it all. Nice post @AnkerOfficial , i am really interested in trying out the eufy Lumos Smart Bulb, also want to bring up a product from Anker here - Anker Power Cube, saw this recently at friend's place, nice device for connecting multiple power points and USB connectors. hmm maybe add more cameras in and out hopefully eufyCam would be out then..got few smart plugs already and just install the Ring alarm system. Maybe next I'll do the thermometer into smart since there are rebates from my electric company. I'm my OLD accommodation, the landlord (city council) had this way of charging you for heating using a wireless system. Each radiator had a wireless device that compared radiator heat Vs apartment temperature, the difference you paid for ... Still not sure how it worked. However, it was meant (yeah right!) to be cheaper than the previous method, and apparently more accurate? I live in a different apartment now (I moved in with my fiancée) that's still run by the city, but in this place, we pay our own bills n set our own heating n water, which comes off a pre-payment card. Apart from WiFi, n smartphones, we have no smart wireless devices. No bulbs, no sockets, no thermostat, nothing. Not even a sound system or Alexa. Would I want??? Hell yeah! Cold dark night, .... Light on, heating on, all while sat on the bus. Fell asleep, and left the hallway light on... Open one eye, get phone, and turn it off. I have a couple times, got my sky HD box to record while out. I've also used sky box to show photos from my phone on my TV (it's not a smart TV either)... It's just a feature of the sky box. I guess I'll focus on owning a home before I can make it smart. We have our Eufy Genie hooked up to our lights. It's one of those small things that shouldn't be that big of a deal, but we absolutely love it! Not only is it convenient to say "Alexa, turn on the lights," but it's also really nice to be able to program them to turn on and off when we are away. I'd love to have the Eufy vacuum, but we bought a Roomba a long time ago and don't have a need to replace it at this point. When we bought our first house 2.5 years ago we started off replacing all the old incandescent bulbs and CFLs to LED. Now my goal is to build us a smart home and cutting the cord. But living in the country (30 minutes from the closest Walmart) we find its hard to find high speed internet. We have a limited capped internet plan that makes almost impossible to cut the cord or have a lot of smart features. Since there is new high speed unlimited wireless internet is in our area we will be switching over. We already have a smart thermostat, a somewhat smart (non WIFI Eufy Robovac), 3 smart plugs and Eufy Smart Blub on the way. 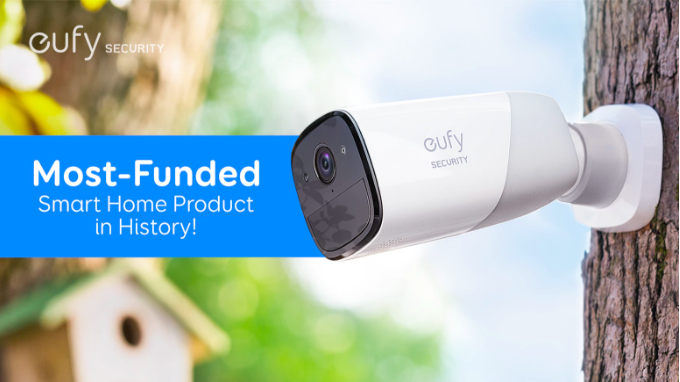 We plan to add a smart security and Eufy Security Cam system. Hopefully they will add doorbells and few other security options. I am just tired of all these devices needing their own app and no way to connect in a universal smart app that can work with all manufactures. A lot of smart features can be achieved via temporary devices.... Sockets, Alexa amazon, Soundcore, eufy security, light bulbs, are all things that don't need to be hardwired, and just your home WiFi. Isn't there the HOME SMART/START universal app? I remember (I say remember, it's more a vague thought!) On CNet recently about a lot of products working through home smart (something like that?) app, and CNet critising eufy smart mini for not working with it. I'm currently in a rented house. I am so looking forward to buying my own place and installing a smart heating system. That is truly a "smart house" to me. I don't generally have a standard working day, so I'm not always home at the same time. I'd love to be able to turn the heating up or down depending on when am due back. You can buy adapters, to turn bayonet to Edison sxrew fixtures, or buy new Edison sxrew bulb things (proper word escapes me!) And replace the bayonet fittings. It's 2 wires, you cannot go wrong. I know on some lamps, they can't be replaced, but you can get adapters for those. Looking forward to testing the eufy Smart Plug Mini, also if the eufy Lumos Smart Bulb goes on sale I can add it to my Alexa smart home. I like the fact that it does color. People think im a show off by talking to Alexa and having her turn on and off lights. My girlfriend thinks I have control issues and I take it out on my Alexa. LOL.